Leading Manufacturer of swimming pool multi color lights, pool slides, swimming pool diving boards, swimming pool railings, pool umbrellas and swimming pool grab rails from Pune. We are offering Swimming Pool Multi Color Lights to our clients. 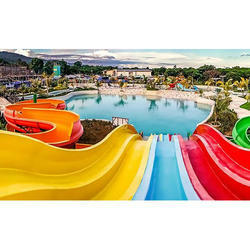 Associated Pools are supplying Swimming Pool Slide. These Swimming Pool Slide are procured from the authentic vendors of the market. Our quality material and latest machines are used to manufacture these Swimming Pool Slide. Offered Swimming Pool Slide are available in various specifications, so as to suit the needs of the customers. The equipment is unique and it attracts lots of visitors. The 1000ltr Splash Bucket gives a Thrilling experience. This system is great attraction for any Water Park. Diving Board options offered are highly demanded and recommended by swimming coaches and competitive swimmers. Associated Pools are leading names in providing excellent quality of swimming pool products. One of them are offering Swimming Pool Railings. These are much better looking and durable than marbleize surfaces of concrete pools. Associated Pools are leading supplier of pool side furniture. Our exclusive range of Umbrella is light in weight and highly durable. These Side Pole Umbrella are available in various design, color, patterns. 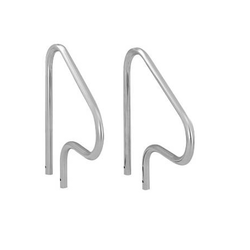 Associated Pools are the leading manufacturer, supplier and exporter of swimming pool exit hand rails. These are manufactured from high grade SS 304. These pool exit rails are able to meet all national and international standards and are available in 38 mm diameter. 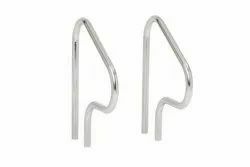 These are used for assisting in getting in and out from the pool.